Dan H. Reichard III - Stand Up, Inc.
Dan is the President of Stand Up Inc. He has worked for fifteen years in Supported Employment, beginning in 2001. 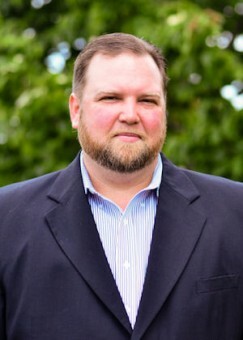 In 2005, he was promoted from Job Coach/ Employment Specialist to Director of Lynchburg Operations for Commonwealth Supportive Services before being promoted again to VP of Operations in 2006. My favorite part of my job is… I am able to meet a lot of different people throughout the day and work at many different jobs. My hobbies include… Spending time with my kids, cooking, reading, camping, and skiing. I was inspired to work in this field because… I have a family member that received services through DARS. Seeing the improvement in her quality of life made me realize that there is so much that can be done to help others reach their potential. My first job was… with B&B Machining in Easley, SC. I was 14 years old and decided that I wanted to earn my own money.